Chi chi chi ha ha ha. 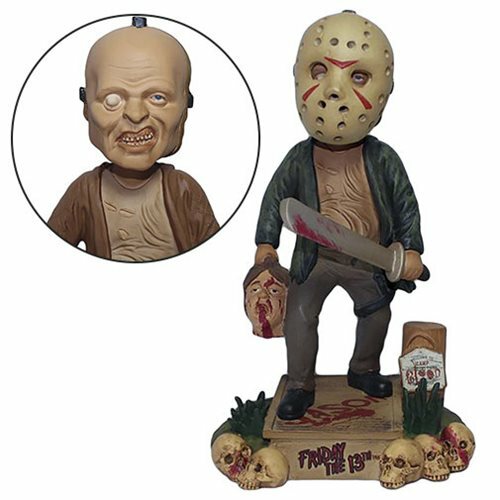 From the Friday the 13th comes none other than Jason Voorhees as an 8-inch tall stylized resin bobble head. Display Jason with his trademark hockey mask or without his hockey mask! Remove his mask to reveal his true look! Jason stands atop a pier display base with bloody skulls strewn across the side. Jason is wielding his trusty machete for the thick woods of Camp Crystal Lake and a decapitated head of a poor soul.